The-Jinchuuriki and-their-Biju. . HD Wallpaper and background images in the Naruto - Shippuden club tagged: naruto shippuden naruto shippuden jinchuuriki biju. 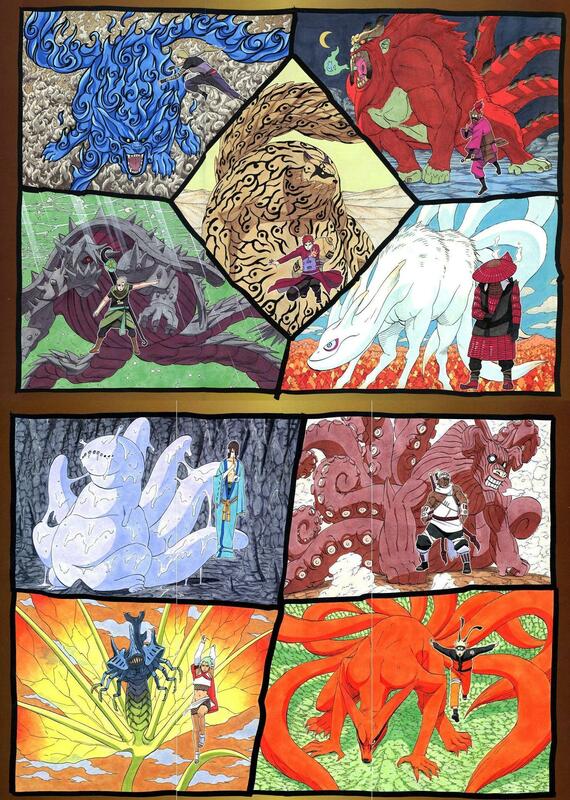 i know 3 tailed tortest & 9 tailed fox & 6 tailed snail but what are the others???? @yahiko101,thnks 4 de complete pure info on biju's. Nice. My Favorite is Bee. Wait...When did the Sanbi get a Jinchuuriki? 0_o Did I miss something here? Amazing, I like Tailed Beasts. Is there any reason why the Kyuubi looks is the LEAST freaky?